In today’s busy world, we have so many contacts, but we don't realize the power of our network or the opportunities it offers us. How many times have you walked away from an event with a stack of business cards and one question: How will I remember these people? The cards and the connections they offer us end up in a drawer or in the trash because it's simply too difficult to stay connected with all of them. As a result, we miss out on a valuable opportunity to strengthen relationships within our own networks. - Scan a business card to create a contact automatically. - Exchange electronic business cards. - Take notes about any important conversation. 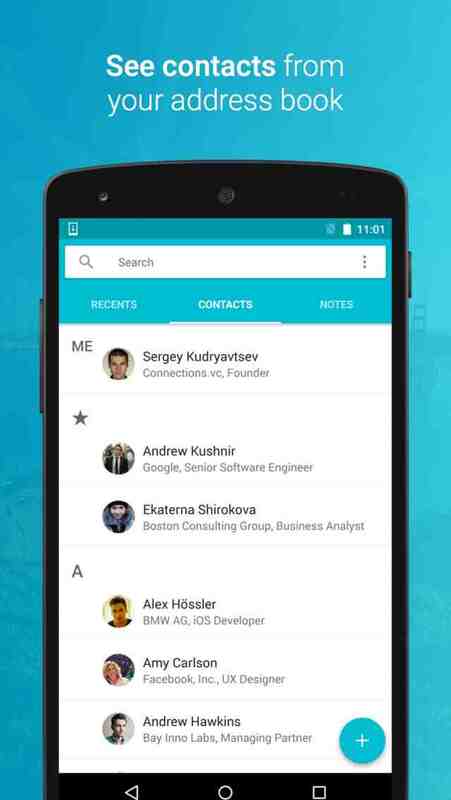 - Add tags to categorize contacts by skills, experience, or meeting places. - Use this information to make calls and send emails all through the same app. - Find relevant people who can help you with your specific needs.